Colorectal cancer (CRC) is one of the most common malignancies worldwide. Genetic variations in cytokine genes and their receptors lead to the severity of the disease. 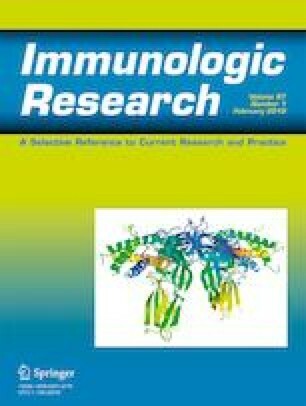 The interleukin-1 receptor antagonist (IL1RN) is a cytokine that inhibits interleukin-1 (IL-1) activity by binding to IL-1 receptors. Also, interleukin-4 (IL-4) is an anti-inflammatory cytokine that can play an important role in several cancers. The present case-control study was aimed to evaluate the association of IL-4 and IL1RN VNTR polymorphisms with the susceptibility to CRC in a sample of Iranian population provided by the Research Center for Gastroenterology and Liver Disease at Taleghani Hospital, Tehran. A total of 123 patients diagnosed with CRC and 152 healthy controls were recruited in the present study. Genomic DNA was extracted by salting out method from whole blood and genotyping of IL1RN and IL-4 VNTR polymorphisms were determined by PCR-based technology. Our study manifested the frequency of 1/2 and 2/4 genotypes of IL1RN 68bp VNTR polymorphism are significantly different between both groups (p = 0.0001 and p = 0.01 respectively). However, we could not find any correlation between IL-4 VNTR polymorphism and CRC cancer. It seems that 1/2 and 2/4 genotypes of IL1RN are correlated with CRC susceptibility in our population, although, more studies are needed to confirm our results. The authors thank Shahid Beheshti University of Medical Sciences Deputy of Research Affairs for funding this project (p/25/14/605).